Canadian songstress Alanis Morissette has proven her ability to not only carry a tune but to also theatrically express her emotions in ways that unleash a flood of emotions that only the romantically tortured can appreciate. 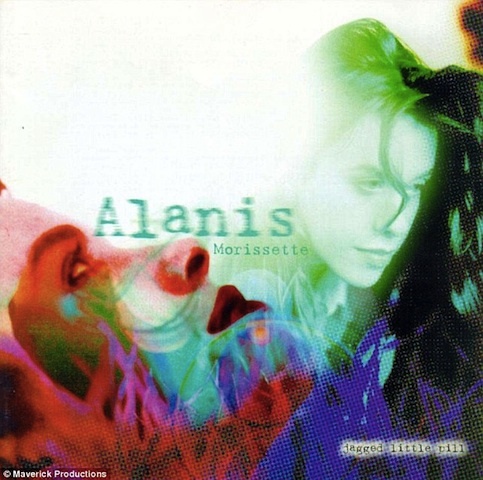 Her most successful album to date, Jagged Little Pill which was released back in 1995 when Morissette was just 21 resonated with me in ways I never expected. It was a perfectly composed symphony bloated with lyrics laced with strong themes of betrayal, empowerment, intimacy and surrender. I still indulge from time to time and now there is word that Jagged Little Pill is scheduled to be a Broadway musical! The musical will debut in 2014 and Vivek J. Tiwary and Arvind Etan David have been secured as producers, and the musical arrangements will be orchestrated by the genius behind Green Day’s recent hit, American Idiot, Tom Kitt. Everything about this leaves us breathless with anticipation especially since we are sure the Grammy Award winning Morissette will definitely take this opportunity to once again demonstrate why she became a trailblazer and strong female voice in an industry populated with bubble gum tunes. We are definitely keeping an eye on this developing story so stay tuned!